Strangers tells the tale of love, lies and longing. When the bombs began to land, the children had to leave, and not all their experiences were the same. Join Evie, her brother Billy, and love interest Peter as they find out what being an Evacuee really meant in on of the most emotionally charged musicals of recent years. 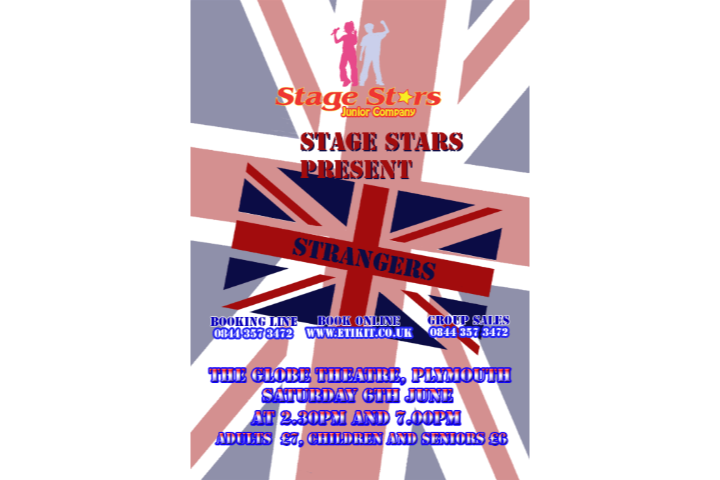 Strangers has only ever visited the South West once before, in 2009, when it was also put on by Stage Stars. 'Strangers' is written by Darren Vallier, Richard Lindfield, Rob Sweetman and Michael James. It sensitively portrays the life, loves and sacrifices made during World War II as children were evacuated to distant towns across the country. 'Strangers' was showcased in London to critical acclaim.